Design work related to the reconstruction and relocation of the Baku-Lankaran railway is planned to be completed by the end of 2018, Chairman of Azerbaijan Railways CJSC Javid Gurbanov told reporters on Oct. 12. "Funds for this project have already been allocated by the state. Preparatory work is underway. Design work which is carried out by a Turkish company will be completed by the end of 2018. After that, we will begin work on the reconstruction and relocation of the railway section," Gurbanov said. 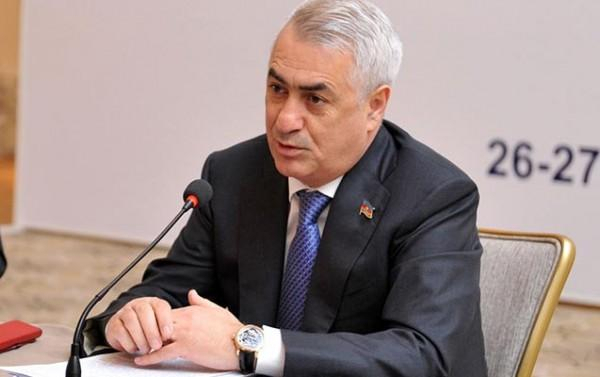 It was earlier reported that the Azerbaijani government was conducting preparatory work on the relocation of the Baku-Astara railway. It was about the part of the railway that passes through Lankaran and Astara. The railway runs along the sea coast and restricts access to the sea. In addition, the tide erodes the foundation of the road, it falls faster, despite repairs.